When I collected our 9th egg yesterday I noticed that it looked kinda different. It's the lower one in the picture. The ones I've been collecting have speckles on them and this one didn't. My first thought was that the speckles were temporary and we wouldn't be getting anymore that way. 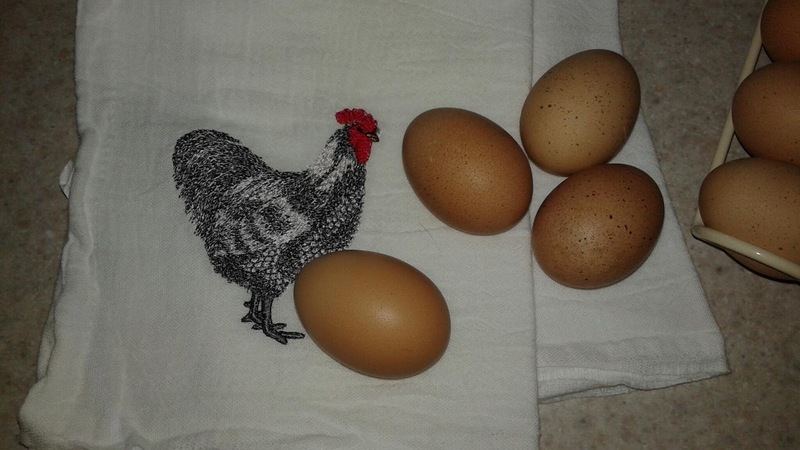 Then when I collected the 10th egg today it was speckled. So I think that both Laverne and Lucille are laying now, but the best proof will be when I get two eggs on the same day!